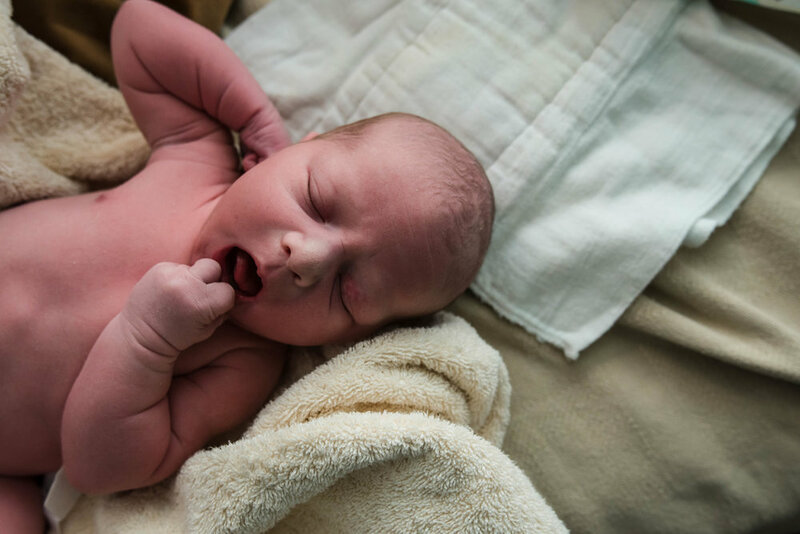 There is a point in (almost) every unmedicated, and even medicated, birth where the laboring mother expresses “I can’t do it.” And every time it’s vocalized, I brace myself and get all of my settings in place (shutter speed raised!) because I know baby’s arrival is imminent. In that moment of self-doubt, the pain is the greatest and contractions are strongest. Sure, the ring of fire when baby’s head stretches the birth canal is also quite painful, but it’s so quickly over. However, those last contractions make you feel like you have nothing left to give. 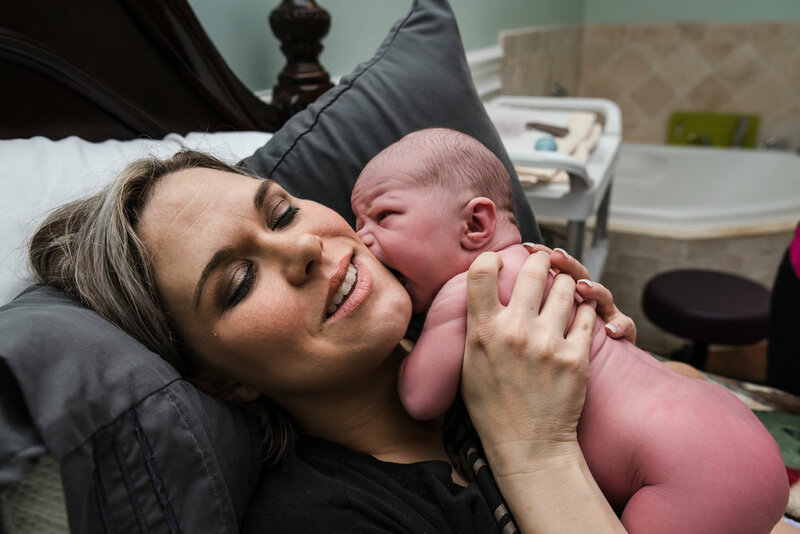 Terra’s birth story is one of such strength, and I can’t write it in as much as I can tell it through the images. Her labor progressed as it should. 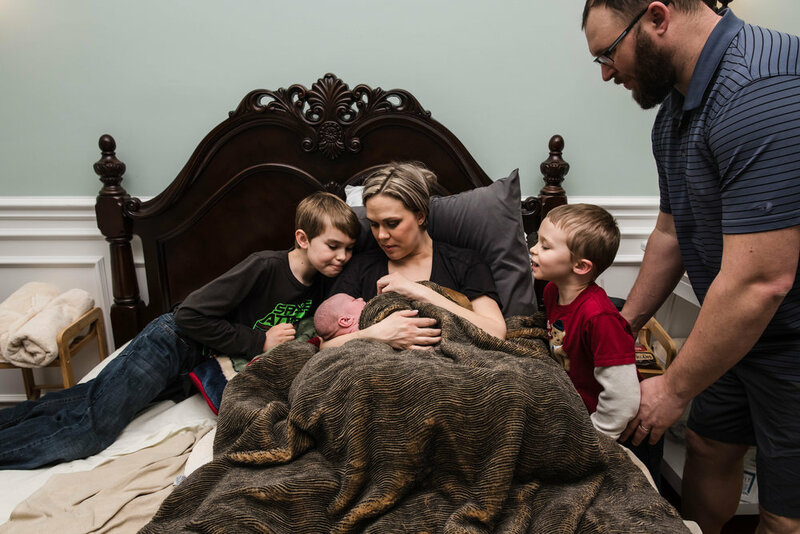 She dilated to a 5 before even arriving at the birth center, where she was met with a team of midwives and nurses to support her through her labor. They mostly gave her and her husband the space to labor on their own though as that’s sometimes just what women need. Her husband never left her side, making sure he could do whatever needed to be done--whether that was through hip squeezes, giving her water, or verbally affirming that she was doing a great job. 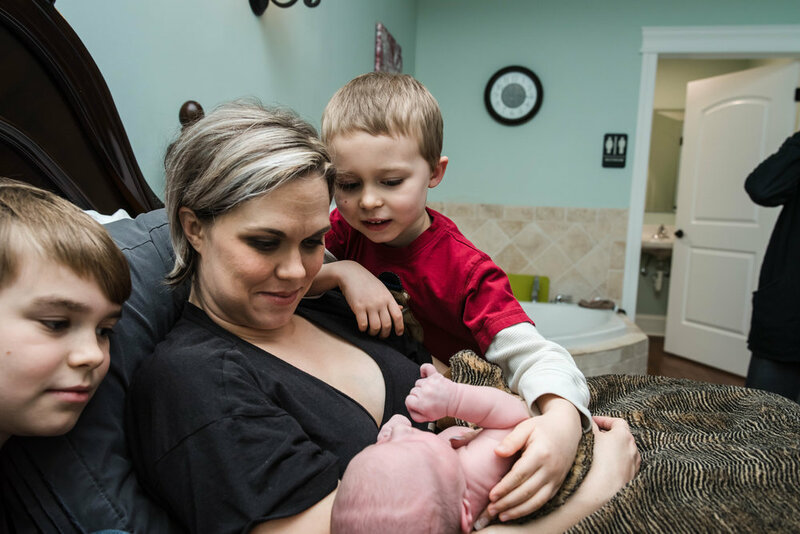 When her midwife broke her water, contractions intensified really quickly. She labored on the birth ball for about an hour before getting into the water where she found some comfort. Labor can be funny when you’re in the midst of it because finding comfort and relaxing the body is what helps the pelvic floor relax, opening the cervix, which in turn brings on stronger contractions. That’s exactly what happened here— Terra’s contractions steadily got more and more powerful. Before long she was ready to push, and it was right before that moment that Terra began to express that she didn’t feel she could do it. Just like so many other beautiful births I’ve attended, every person in the room expressed, “You CAN do this!” And she so evidently drew from their encouragement. 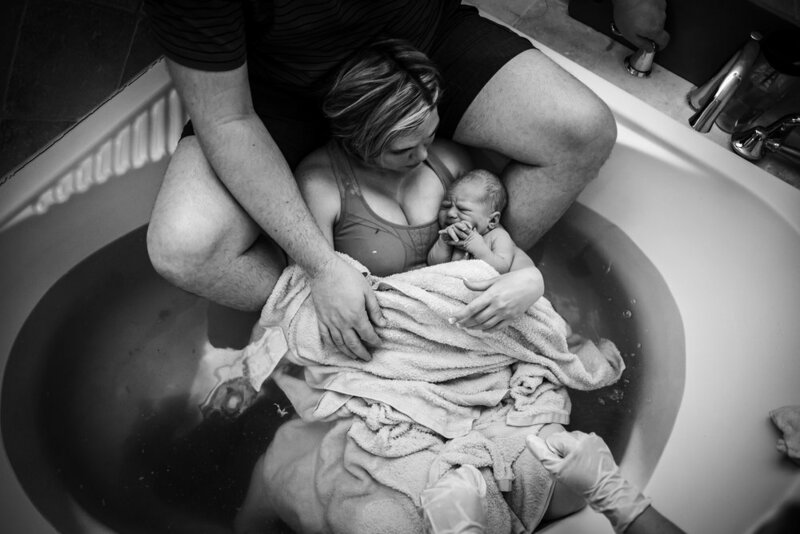 She pushed her third baby boy into the water where he was brought up and onto her chest. The relief she felt was so beautiful, and her husband was beyond excited and proud of what he’d just witnessed. Baby Davis’ older brothers came in to see their new baby brother just 30 minutes later and were so tenderly affectionate toward him. They had so many questions for their Mom, and you could tell how proud they were of her. It’s always my hope that through the birth images my clients receive and are shared with others, they look back on how powerful they are as individuals. Not just in the moments of delivery, but the moments of weakness--where they became so delicately vulnerable with the people around them. There’s something so valuable about the strength we draw from those supporting us in the darkest moments. What beautiful symbolism birth carries!